Uh oh! Looks like somebody just tried to lure Android users into downloading bogus software by taking advantage of BBM's popularity. It has been brought to our attention that an app pretending to be an official BlackBerry Messenger client for Android appeared on Google Play only to get shot down soon after. Unfortunately, over 100 000 people downloaded the app before it got pulled, meaning that the phones of these people are now likely contaminated with ad-infested software. As expected, this fake BBM app didn't work. An Android version of the popular messaging platform has yet to be released. 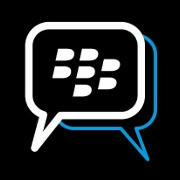 All it did was to inform the user that it would be activated on June 27 – the date, on which BBM was allegedly due to land on Android, according to now-squashed rumors. Then it just dumped its advertisement software onto the device. The official BBM client for Android is expected to arrive later this summer, and once it does, rest assured that we'll let you know. Until then, better stay away from alleged BBM apps listed in the Play Store unless you're absolutely positively sure they're the real deal. Why is it ok for bb sideload android apps but not ok for us to sideload bb apps? any root player here care to explain? Because the BB10 Kernel is so powerful, it is able to run the Android OS as a runtime environment. Nice buzzwords you threw back there, mate. I wish Google would do more to block and remove fake apps. When scrolling through the top 100 free apps last night, i spotted atleast 5 apps which are fakes or apps that dont acturlly do anything like lie detectors and x-ray vision. DOWN WITH FAKE APPS!!!! That's all app stores, not just Android, or do you not think iOS or Windows Phone never had this issue? If so, then do some research. Speaking of him, where's nikolas Oliver? How many times will google allow this to happen? This is what happens when no proper reviewing system is in place. Gotta hand some credit to Apple for reviewing apps more throughly.